LEAP staff, in particular our team of CFD engineers, have been watching with interest as the 2013 America's Cup unfolds in San Francisco. Despite being the oldest active trophy in international sport, the America's Cup is continually evolving thanks to an often dramatic combination of innovation, bold design, nail-biting competition and (of course) its fair share of controversy. This, in turn, attracts engineers who aspire to work on cutting-edge designs and virtual testing of breakthrough technologies. In September 2013, Emirates Team New Zealand (ETNZ) will be looking to repeat their successes from 1995 & 1999 and bring the cup back home to New Zealand. With the use of ANSYS CFD and the support of LEAP Australia, ETNZ have built two high-tech catamarans and manned them with the best sailors from around the globe. In what have been described as the most futuristic boats ever designed, the teak decks and billowing canvas sails of yesteryear have been replaced with carbon fibre wave-piercing hulls and oversize rigid wings in the brand new America's Cup 72 (AC72) Class. These space-age machines are capable of lifting out of the water and "flying" across the surface of the ocean, suspended only by hydrofoils racing beneath the water's surface. Building on 15 years of experience with ANSYS CFX software at Team New Zealand, CFD has proven to be a major driving factor in the design process for the ETNZ AC72's, with virtual prototyping allowing the team to evaluate a multitude of design changes without having to cut a single piece of carbon fibre. 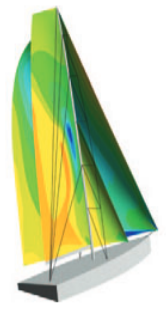 - make informed design modifications (based on insight gained from the CFD visualisations, rather than simply design intuition) to ultimately arrive at a best-performing yacht design that enhances the aerodynamic performance of the wing and sails. Currently, ETNZ has gone undefeated through the Louis Vuitton Round Robin Series and more recently won the Louis Vuitton Cup (7-1 against Luna Rossa) and are now preparing to challenge the America's Cup defender, Oracle Team USA, for the 2013 America's Cup title. Whilst ANSYS software is used by most competing teams, LEAP Australia are especially proud to be supporting Emirates Team New Zealand and wish them the best of luck in their upcoming races in San Francisco Bay (the first race commences on September 7). One of LEAP's CFD engineers, Stuart Buckingham, will also be travelling to San Francisco to cheer on the team. Let us know if you will be there as well. In the meantime, you can also read more about ETNZ in their 2012 article which documents their use of CFD whilst designing a yacht for the Volvo Ocean Race (ANSYS Advantage: Charting a Confident Course "With only a four-month design window for the entire yacht, the team placed a premium on using engineering software from ANSYS to obtain fast and reliable CFD results"). Additionally, for more information on ETNZ itself, including some breathtaking pictures and an update of all race results, we recommend you visit the ETNZ Blog. Images courtesy Emirates Team New Zealand. 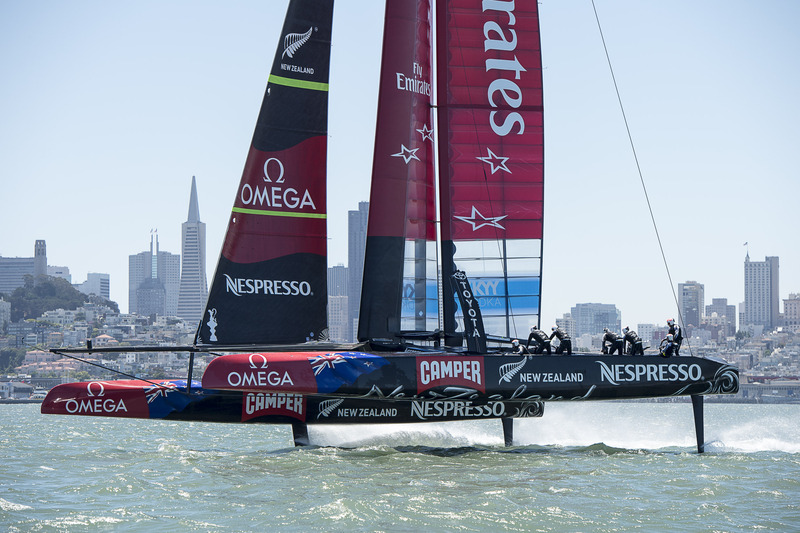 Our commiserations go out to Team NZ and congratulations to Oracle Team USA for their final performances in the 2013 America's Cup. Congratulations also to all of the engineers from both teams for helping create and optimise such impressive feats of naval design & engineering!